Here's what you need to know to choose the best Tahiti vacation packages. Whether you're planning a honeymoon, a cruise, a diving trip, or just want to unwind and relax or enjoy exhilarating activities in the sun, the tropical Tahitian islands and their warm turquoise lagoons are perfect. Tahiti is a unique destination. It's dreamy islands are scattered in the middle of the pristine Pacific Ocean, halfway between Australia and America. Traveling around will be different to any other vacation you have been on. Transport by boat is more common than taxis! Airports are on their own islands! Figuring out how to get around can be a little daunting for someone who has not been here before. So a Tahiti vacation package may be the best option for your first visit to Tahiti. Taking care of all the little details will give you a smooth vacation in paradise. Tahiti vacations are renown for thatched-roof over water bungalow stays. Most people dream of coming here and staying in an over water bungalow. You can jump off your deck into one of the most beautiful blue lagoons in the world. Or watch tropical fish swim below, through the glass coffee table in your bungalow. A vacation in Tahiti hotels and resorts is the holiday of a lifetime. Get a quote for your Tahiti trip with our favorite Tahiti travel specialist. There are many activities unique to Tahiti that you might want to include in your vacation package - snorkeling, diving, 4WD safaris, hiking, cruises, tours and many more. 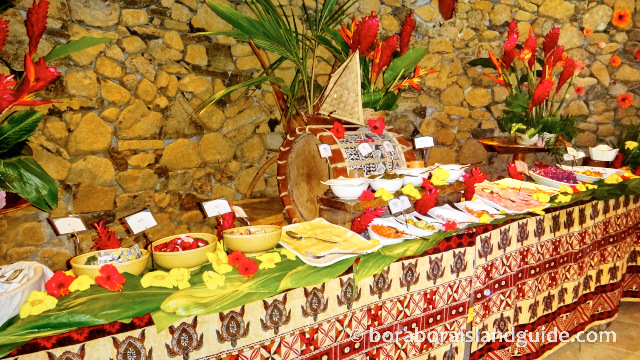 These can be included in your package, but are also available to choose when you are at your Tahiti resort. Tahiti is an isolated place. Which is what makes it so special! But it also means that food costs more here than back home. To save on dining expenses, we recommend including breakfast in your vacation package. And if you are staying at a more secluded resort, you may want to include dinner as well. If you intend to loll around your resort for most of your vacation time, you will definitely want to include a meal-plan in your package. Tahiti packages and all inclusive Tahiti vacations can be chosen by destination, vacation style or your special interests such as diving. There are many 'ready to go' Tahiti vacation packages that you can choose from. Or you can speak to a Tahiti destination specialist who will help you create your own personalized vacation. Which islands to visit on your Tahiti Vacation? 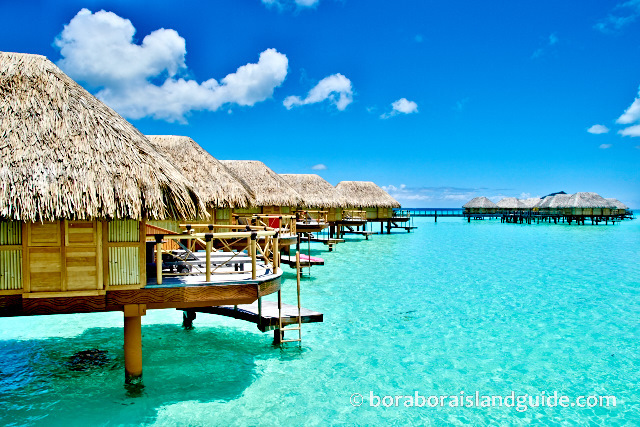 The most popular islands to visit on a Tahiti vacation are Tahiti - the most populated island, Moorea - the most beautiful island (according to locals) and exotic Bora Bora - set in the most beautiful lagoon. Each island has its own 'flavor'. If you are wanting to explore more of French Polynesia, you may wish to include other islands like Huahine, Raiatea, and Taha'a. Or venture out to far flung, pristine atolls like Rangiroa, where black Tahiti pearls are farmed. What you are looking for, in your Tahiti vacation package, will help you decide which islands you choose to visit on your Tahiti vacation. And if you are wanting a Tahiti vacation package that will give you an all inclusive Tahiti vacation, you can design one that includes everything: car rental; activities like diving, hiking and snorkeling; 4WD safaris; hotels and resorts; meal plans; cruises; transfers; international flights, inter island's flights and airline tickets. Speak to a specialist Tahiti agent to get a quote. 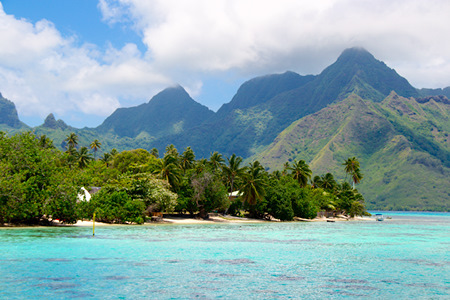 Get a Tahiti vacation package quote from our friends at Pacific for Less. The great thing about cruising Tahiti is that it is like being on a floating hotel. It's the most relaxing way to visit a few islands and make friends along the way. There's no repacking and rushing to airports. You go to sleep at night and wake up to the adventure of a new island to explore. Have a look at the tempting Tahiti cruises that sail through these South Pacific islands. Tahiti cruise packages include airfares, transfers, meals and entertainment. All inclusive Tahiti cruises can include everything from open bar to excursions. Paul Gauguin Cruises sail the waters of Tahiti year round. 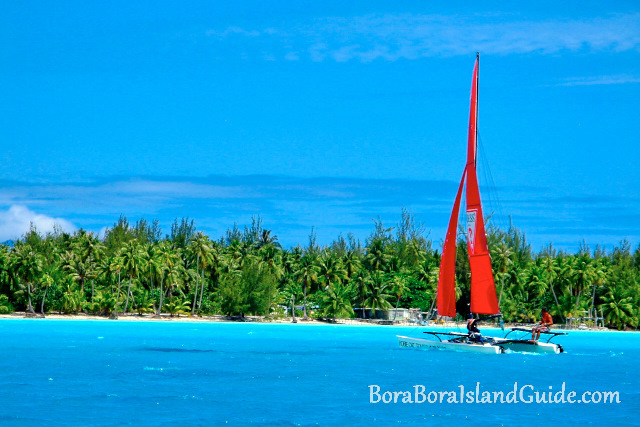 It offers special itineraries that visit many of Tahiti’s exotic islands and atolls. 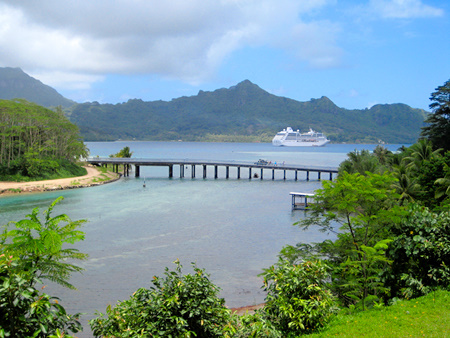 Ultra-luxurious Crystal cruises sail through Tahiti on South Pacific voyages. Want to find out more about Tahiti? 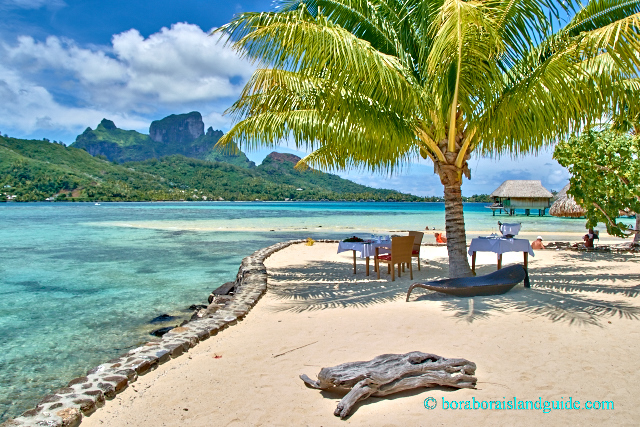 Located south of the equator, Tahiti’s seasons are opposite to that of North America. It's in the same time zone as Hawaii. Find out flying times for flights to Tahiti from your closest major city. Dreaming of a Tahiti vacation but don't want to travel so far from home? Did you know there is a little bit of Tahiti paradise in Las Vegas? Whether you are planning for a Tahiti vacation, honeymoon, cruise or diving trip, Tahiti and her islands are the perfect place to unwind and enjoy your holiday. You will find a wealth of information on this site (including things that you don't know that there is to know) that will assist you in having a superior vacation, at whatever level of accommodation you choose to stay.